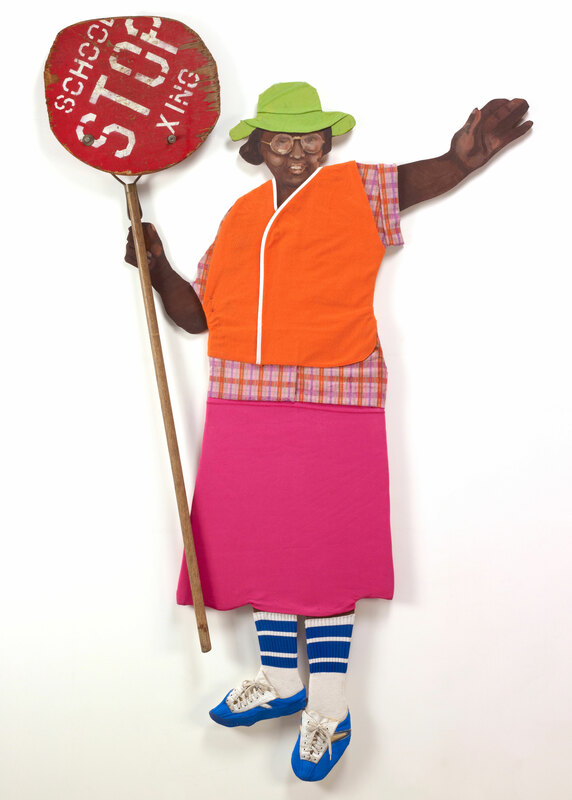 This work portrays a common figure in any American community: the school crossing guard. Born in Baltimore, the artist moved to San Jose in the 1950s and went on to teach at the California College of Arts and Crafts and San Jose State University from the late 1960s through the 1980s. She also showed her work at Brockman Gallery and the Woman's Building in Los Angeles and curated the seminal exhibition Twentieth Century Black Artists at the San Jose Museum of Art. "School Crossing Guard." Now Dig This! Art in Black Los Angeles, 1960–1980 Digital Archive. Los Angeles: Hammer Museum, 2016. https://hammer.ucla.edu/now-dig-this/art/school-crossing-guard.